For decades, there were tales from fishermen and tourists, even lots of photos, of a mysterious killer whale that just didn’t look like all the others. But scientists had never seen one. An international team of researchers found a couple dozen distinctly different orcas roaming in the oceans off southern Chile in January. Scientists are waiting for DNA tests from a tissue sample but think they may have found a distinct species. The National Oceanic and Atmospheric Administration felt confident enough to trumpet the discovery of the long-rumored killer whale on Thursday. Some outside experts were more cautious, acknowledging the whales are different, but saying they’d wait for the test results to answer the species question. “This is the most different looking killer whale I’ve ever seen,” said Robert Pitman, an NOAA marine ecologist in San Diego. He was part of the team that spotted the orcas off Cape Horn at the tip of South America. Pitman said they are so different they probably can’t breed with other killer whales and are likely a new species. At six to 7½ metres, they are slightly smaller than most killer whales. 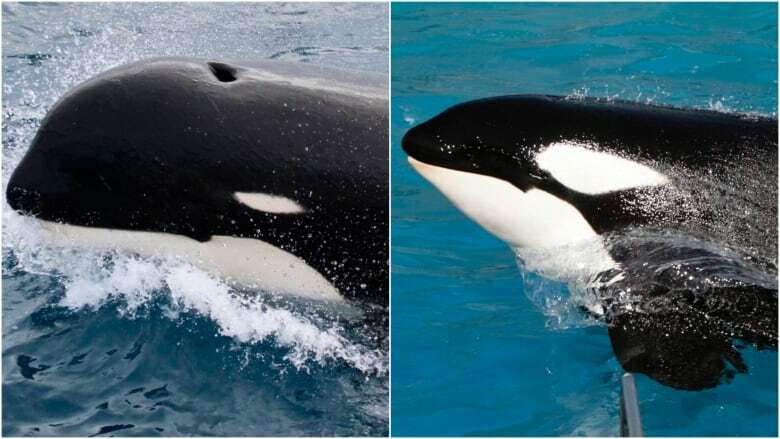 In the Southern Hemisphere, killer whales are considered all one species, classified in types A through C. This one is called type D or subantarctic killer whale. Michael McGowen, the marine mammal curator at the Smithsonian, said calling it a new species without genetic data may be premature. Still, he said, “I think it’s pretty remarkable that there are still many things out there in the ocean like a huge killer whale that we don’t know about.